At BPS101, we take our mission very seriously: To help students learn and grow in all aspects of their development. Our 700 staff members have all dedicated themselves to ensure that our learning environments are productive, safe, and supportive. Their efforts help the nearly 6,000 students find their passions, engage in challenging work, and develop into educated, caring citizens. Our mission is evident in all that we do, and the impact is enormous. Please review our 2018-19 School Fact Sheets, which outline each school’s programs, achievements, community partnerships, and school contacts. The District’s administrative office is housed in the Rosalie Jones Administration Center located at 335 W. Wilson Street in Batavia. 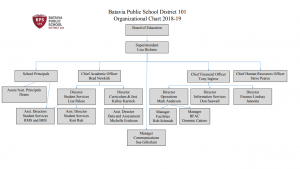 Administrative services are organized under four divisions that report to the Superintendent. These divisions work collaboratively to provide excellent customer service to all stakeholders and constituents. Batavia is among the oldest communities in the Fox Valley, having been settled in 1833, a full year before the City of Chicago. Once considered the fringe of the Chicago metro area, Batavia has matured into one of the premier communities of the western suburbs. 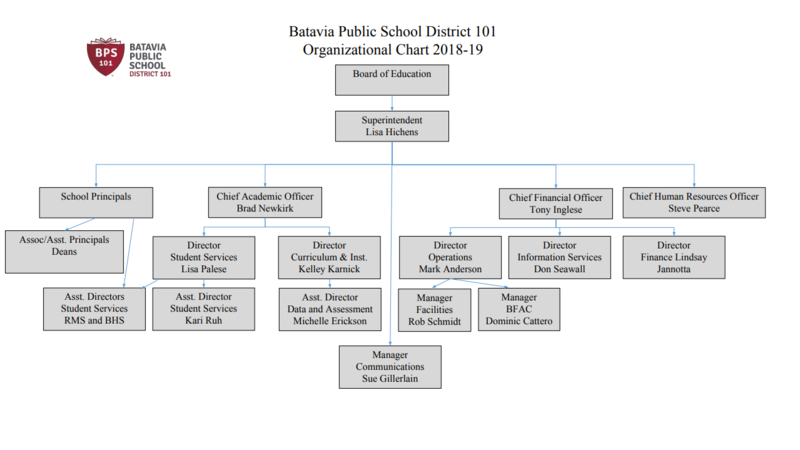 Batavia Public School District 101 was founded in 1911 when the east side and west side school districts of Batavia consolidated. It has a well-deserved reputation for excellence and is recognized as one of the primary reasons for residential housing growth within the community.